I found him/her yesterday, the piji was in the middle of a street, and one old man was pulling him in the corner of the street with a foot. When he saw that I took the animal with my hands he said "They are ill! And they give us illness, don't touch it" Of course I touched HIM and here I am. Kickass is his name Because I think that one that was been kick deserve this kind of name. But in my vet database he's Kikess, so this will be his name. 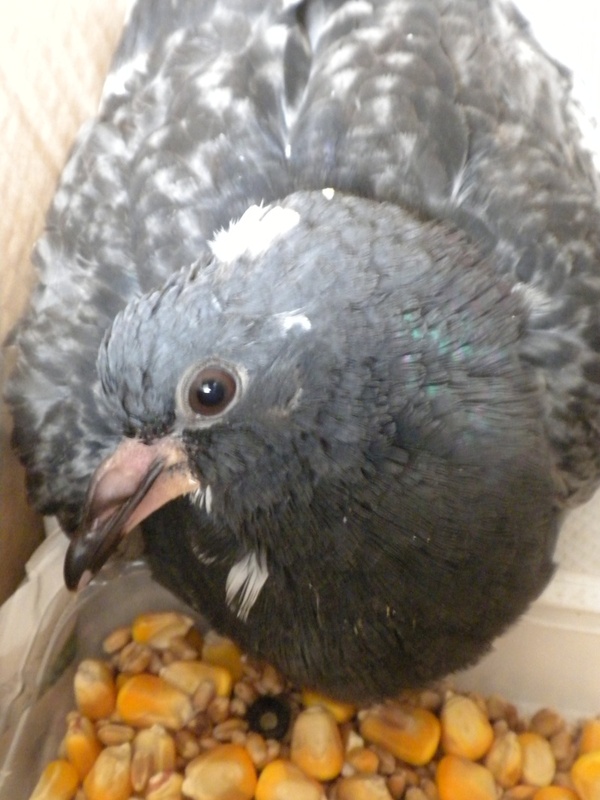 Ok, he has a fractured foot, and coccidiosis. I gave him painkiller, and the drug to kill coccidia. And put him under a redlight. What do you suggest to do? What could I do? Hi Marta, I messaged you on FB. He probably thinks all humans are ratbags and is uncooperative out of fear. Push the peas right to the back of his throat, it is perfectly safe, as their size is larger than the air opening, and there's no way they can go down into his trachea. If he isn't eating because there is a blockage, like that caused by early canker in the crop or aesophagus then he'll need canker meds. Is there any chance that the fracture may be infected? As I wrote in fb this morning I found him dead. I had a feeling that he would be die... but I was hopeful. He was really skinny, and had diarrhoea, I had to clean him...poor little one His crop was swalled, but he never digested anything. I gave him enrofloxacin yesterday... but it didn''t work. He didn't have sign of an infected wounded. My vet yesterday said me that he washed his crop, and watched if there were mycosis or sign of thricomonyasis, but he didn't find anything. So we decided to treat him with antibiotic and diosmectite (I don't know how to translate that... it's a sort of clay to adsorb diarrhoea and that calms vomit and ulcers).